PLEASE READ AND REVIEW THE REAL ESTATE TERMS THOROUGHLY PRIOR TO BIDDING ON ANY PROPERTY IF YOU HAVE NOT READ AND UNDERSTAND THESE TERMS DO NOT BID BY BIDDING ON THE PROPERTY, BUYER AGREES TO ALL TERMS AND CONDITIONS SET FORTH AND ENTERS INTO A CONTRACTUAL AGREEMENT TO PURCHASE THE PROPERTY UNDER THE FOLLOWING TERMS AND CONDITIONS: UPON CONCLUSION OF THE AUCTION: The Winning Bidder will be emailed a Real Estate Contract to print and required to fully and correctly complete and properly sign without any modifications and return the completed, signed contract to Aumann Auctions, Inc. by email, fax, certified mail or delivered in person by 4:00 PM of the day following the auction. Along with the completed, signed contract, the Winning Bidder will be required to send the specified non-refundable earnest money deposit as stated in the property description. This non-refundable earnest money deposit will be held in escrow until closing and that amount will then be credited to the Buyer as part of the purchase price of the property. Wire transfer instructions and escrow agreement forms will be provided to the Buyer along with the contract after the auction. Purchaser shall be responsible for all wire transfer fees. Successful bidder not executing and returning the completed contract and earnest money deposit by 4:00 PM the day after the auction will be considered in default. Such default by the Successful Bidder will result in that Bidder�s liability to both the Seller and Aumann Auctions, Inc. Seller shall have the right to (a) declare this contractual agreement cancelled and recover full damage for its breach, (b) to elect to affirm this contractual agreement and enforce its specific performance or (c) Seller can resell the property either publicly or privately with Aumann Auctions, Inc. and in such an event, the Buyer shall be liable for payment of any deficiency realized from the second sale plus all costs, including, but not limited to the holding costs of the property, the expenses of both sales, legal and incidental damages of both the Seller and Aumann Auctions, Inc. In addition, Aumann Auctions, Inc. also reserves the right to recover any damages separately from the breach of the Buyer. Both the Successful Bidder and Seller shall indemnify Aumann Auctions, Inc. for and hold harmless Aumann Auctions, Inc. from any costs, losses, liabilities, or expenses, including attorney fees resulting from Aumann Auctions, Inc. being named as a party to any legal action resulting from either Bidders or Sellers failure to fulfill any obligations and undertakings as set forth in this contractual agreement. REAL ESTATE TERMS: �	BUYER�S PREMIUM: A 10% Buyer�s Premium will be added to the winning bid to determine the total purchase price of the property. �	DATE OF CLOSING: The closing will take place within 30 days from the date of the auction and as specified in the Contract for Sale of Real Estate. All taxes will be prorated to the day of closing. �	NO CONTINGENCIES: This Real Estate contract is not contingent on or subject to Buyers financing, appraisal, survey or inspections of any kind or any other contingencies as agreed to by bidders at registration prior to bidding. �	TITLE: Buyer is entitled to and the Seller will provide clear, insurable title for property upon full payment. �	ZONING AND EASEMENTS: Property is being sold subject to any and all easements of record. Property is subject to all state and local zoning ordinances. �	AERIAL PHOTOS, Images and Drawings: are for illustration purposes only and not surveyed boundary lines unless specified. 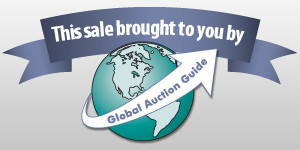 �	AGENCY: Aumann Auctions, Inc. is the Agent and Representative of the Seller. �	CONDITION OF PROPERTY: Property is sold 'AS IS, WHERE IS' condition. Aumann Auctions, Inc, the Sellers nor their representatives, agents, or employees make express or implied warranties or representations of any kind. Each potential bidder is responsible for conducting his or her own independent inspections, investigations, inquiries, and due diligence concerning the property prior to bidding on the subject property. All information presented in the brochure, website, and all other mediums is subject to verification by all parties relying on it. All sketches and dimensions are approximate. No liability for its accuracy, errors, or omissions is assumed by the Seller, Aumann Auctions, Inc. or their Agents or Representatives. Buyer and or Bidder agrees to hold harmless and indemnify Aumann Auctions, Inc. and their Agents and its Representatives from any and all claims, damages or suits including but not limited to awards, judgments, costs, fees, etc. �	DISCLAIMER: All information included herein was derived from sources believed to be correct, but is not guaranteed. NEW DATA, CORRECTIONS, and CHANGES: Please check for updated information prior to scheduled auction time to inspect any changes, corrections, or additions to the property information. �	DISPUTES: Any dispute between Aumann Auctions, Inc or the Sellers or their Agents or Representatives and the Buyer(s) will be (a) arbitrated in Montgomery County, IL or (b) tried in a court of jurisdiction in Montgomery County, Illinois at the discretion of both the Seller and Aumann Auctions, Inc. BIDDING AND REGISTRATION INFORMATION BIDDER VERIFICATION: Bidding rights are provisional, and if identity verification is questionable, Aumann Auctions, Inc. has the right to reject the registration, and bidding activity will be terminated. The Seller and Aumann Auctions, Inc. reserve the right to preclude any person from bidding if there is any question as to the person's credentials, mental fitness, etc. Bidders agree to keep their username and password confidential as they are responsible for ANY and ALL activity involving their account. If the registered bidder's user name is offensive to Aumann Auctions, Inc. or in their sole opinion detrimental to Bidding Activity, then Aumann Auctions, Inc. reserves the right to delete the bidder from bidding or unilaterally change the username with notification to the Bidder. When using the web site you must obey any and all local state and federal laws. Violations will result in termination of web site use privileges. YOUR BID ON THIS AUCTION INDICATES BOTH AN UNDERSTANDING AND AN ACCEPTANCE OF THE TERMS OF THIS CONTRACTUAL AGREEMENT BETWEEN YOURSELF AND BOTH THE SELLER AND AUMANN AUCTIONS, INC. AND THAT YOU, AS THE BIDDER, ARE PREPARED TO PURCHASE THE PROPERTY UNDER THE TERMS AND CONDITIONS OF THIS AUCTION. PERSONAL PROPERTY TERMS: 1. CATALOG: Aumann Auctions has put forth every effort in preparing the catalog for this auction to provide accurate descriptions of all items. All lots are sold AS-IS, WHERE-IS, with all faults, imperfections and errors of description. Due diligence is the responsibility of the bidder/buyer. Printed statements or descriptions by staff are provided in good faith and are matters of opinion. 2. PAYMENTS: There is a 10% Buyers Premium added to your total purchase. All sales are final. No credit card charge backs will be allowed. No cash discounts are applicable. All accounts must be settled at the conclusion of the auction. We accept Cash, Checks, Certified Funds, Visa & MasterCard ONLY. If paying by credit card, you will be charged for your purchases, plus buyer's premiums, plus a 5% Credit Card Fee and any applicable taxes. NOTHING will be charged to your card until a purchase is made. Only Pickup bidders may pay by check or cash. Note: Checks may be processed the day of the auction; be sure to have adequate funds in your account. Each transaction necessary to collect insufficient funds will have a $25 fee imposed plus the liability of Default of Buyer below. 3. DEFAULT OF BUYER: Successful bidder not paying for items within 3 days of the date of the auction will be considered in default. Such default by the Successful Bidder will result in that Bidders liability to both the Seller and Aumann Auctions, Inc. Seller shall have the right to (a) declare this contractual agreement cancelled and recover full damage for its breach, (b) to elect to affirm this contractual agreement and enforce its specific performance or (c) Seller can resell the items either publicly or privately with Aumann Auctions, Inc. and in such an event, the Buyer shall be liable for payment of any deficiency realized from the second sale plus all costs, including, but not limited to the holding/transporting/storage costs of the items, the expenses of both sales, legal and incidental damages of both the Seller and Aumann Auctions, Inc. 4. The buyer is responsible for arranging their own shipping arrangements through a third party provider. Aumann Auctions, Inc. does not provide a shipping service to buyers. Items purchased must be picked up by the shipper or the buyer the day of the scheduled and posted pickup date and time. In addition, Aumann Auctions, Inc. also reserves the right to recover any damages separately from the breach of the Buyer. The purchaser agrees to pay all reasonable attorney fees and costs incurred by Aumann Auctions, Inc. in the collection of funds. The purchaser also agrees that a storage/handling fee of 2% per month be added to the balance of any unpaid balance due Aumann Auctions, Inc. and any other costs or losses incurred by the Buyers failure to adhere to these terms. Any debt collection or dispute proceedings will be litigated or arbitrated in Montgomery County, Illinois at the option of both the Seller and Aumann Auctions, Inc. Both the Successful Bidder and Seller shall indemnify Aumann Auction, Inc. for and hold harmless Aumann Auctions, Inc. from any costs, losses, liabilities, or expenses, including attorney fees resulting from Aumann Auctions, Inc. being named as a party to any legal action resulting from either Bidders or Sellers failure to fulfill any obligations and undertakings as set forth in this contractual agreement. MAXIMUM BID: When you bid your maximum bid, the current bid price does not automatically advance to your maximum bid. Another bidder has to bid to increase the current price and the computer will automatically bid up to your maximum in the increments specified. AUCTION END TIMES: Aumann Auctions, Inc. online only auctions are timed events and all bidding will close at specified time. However, our auctions also have what is called an 'Auto Extend' feature. Any bid placed within the final 5 minutes of an auction results in the auction automatically extending 5 additional minutes. The bidding will extend in 5 minute increments from the time the last bid is placed until there are no more bids, and the lot sits idle for 5 minutes. Therefore, the auction will not close until all bidding parties are satisfied and no one can be outbid at the last seconds without having another opportunity to bid again. TECHNICAL ISSUES: In the event there are technical difficulties related to the server, software, internet or any other online auction-related technologies, Aumann Auctions, Inc. reserve the right to extend bidding, continue the bidding, or close the bidding. Neither the company providing the software, nor Aumann Auctions, Inc. shall be held responsible for a missed bid or the failure of the software to function properly for any reason. CONDUCT OF THE AUCTION: Conduct of the auction and increments of bidding are at the direction and discretion of Aumann Auctions, Inc. Aumann Auctions, Inc. reserves the right to reject any and all bids for any reason and also reserves the right to cancel this auction, or remove any item or lot from this auction prior to the close of bidding. All decisions of Aumann Auctions are final.